I haven’t gotten mad – well, pissed, actually – while playing live bar trivia in a long time. So long, in fact, I can’t even think of the last instance. What color was Q*bert? And what color was Clyde the Ghost in Pac-Man? I knew it instantly, and handed the answer in first. I watched each of the above terrible cartoons as a child, and I knew it with every power pellet of my being. So the results were revealed, and we were the ONLY team out of ten to get it right, and we received the maximum amount of bonus points for doing so. It has come to our attention that Clyde was also red, so everyone gets bonus points. Orange you glad I didn't say red? After an error in Pac-Man World 2, describing Blinky as orange and Clyde as red, all other World series games place Clyde as the red ghost and elevate him to the rank of leader of the ghost gang. 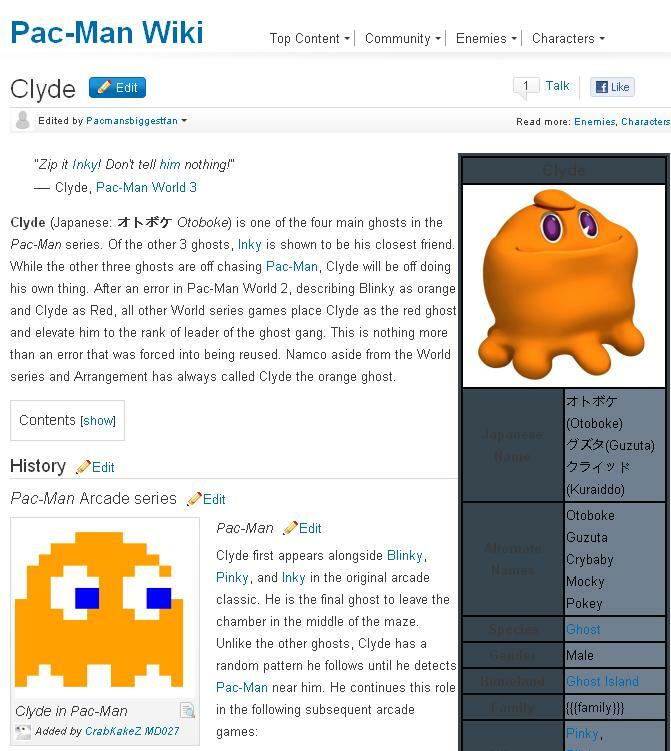 Namco aside from the World series and Arrangement has always called Clyde the orange ghost. So it was a wording issue. If the announcer had added “in the original arcade game,” we would have been set. We still wouldn’t have won the entire trivia game, but we would have been the only ones right. In My Brain While Sleeping… PokéBowling! Hibbidy-Wah?! How Cool Would This Phone Be? !